AHHHHH! 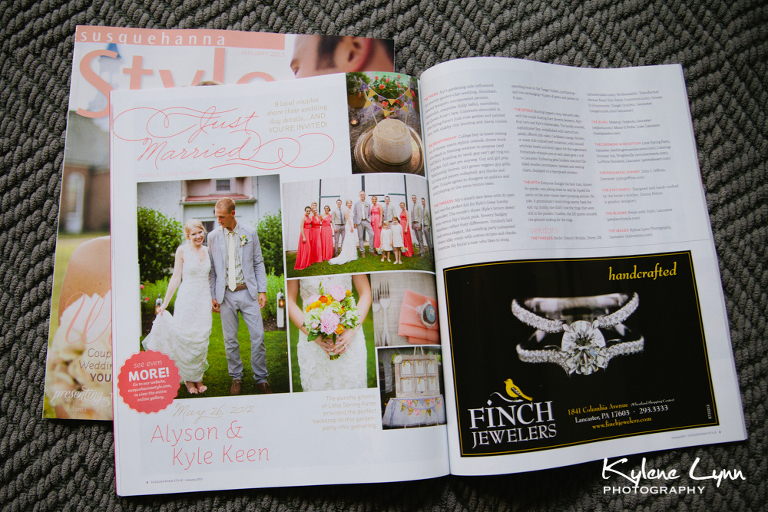 I’m so excited to share my first published wedding in Susquehanna Style magazine! I found out in September that Aly and Kyle’s wedding was selected and it was all I could do not to mention it here. But wait I did. A couple of days ago while I was in snowy Upstate NY, I got an email from a soon-to-be groom (who also happens to be a wedding photographer) saying he saw it in print! I wanted to run to my mailbox/Barnes & Nobles/Stauffer’s magazine end-cap immediately. But again, I had to wait. After a 6 hour drive back to Lancaster yesterday, (that really should have taken 4 and in which I counted 6 cars off the road) I arrived safely to see it in print. And the wait was worth it! Thanks Aly & Kyle for creating such a beautiful wedding and thanks to Susquehanna Style for this honor! For the full article with additional photos visit www.susquehannastyle.com.